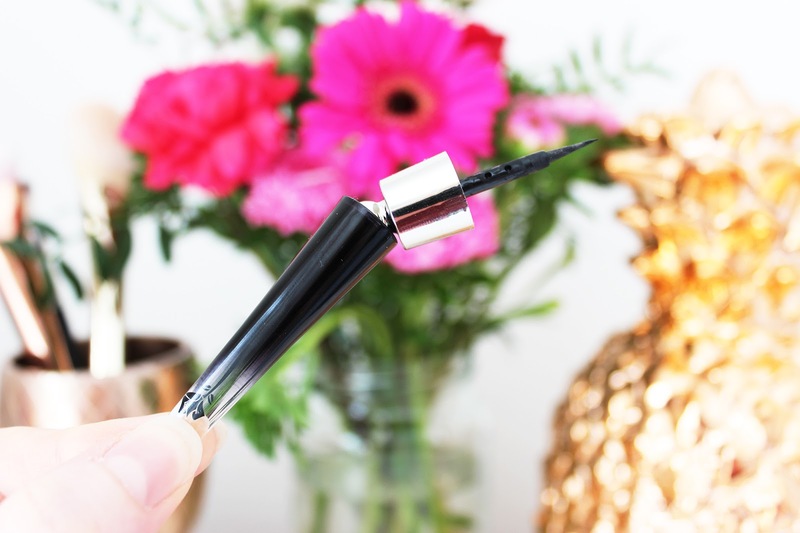 Lancome Grandiose Liquid Liner - innovative design, but is it any good? A statement black liner flick is a bit of a trademark look for me. There aren't many days that my makeup doesn't feature one and if I'm honest, I feel a bit naked without it. Over the years I've tested out a LOT of different liquid liners with varying results, always coming back to my trusty DHC Liquid Liner. 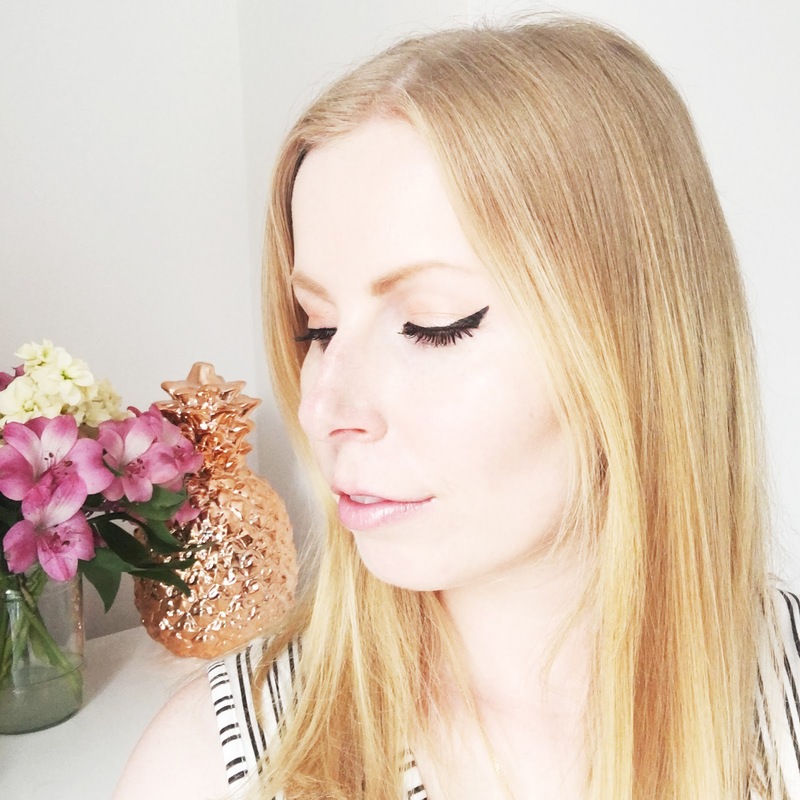 So I was intrigued to give Lancome's new Grandiose Liner a try when it popped through the door the other week to see how it would compare. The Grandiose Liner is the follow up from their 2014 mascara launch, which saw a seriously innovative wand design. 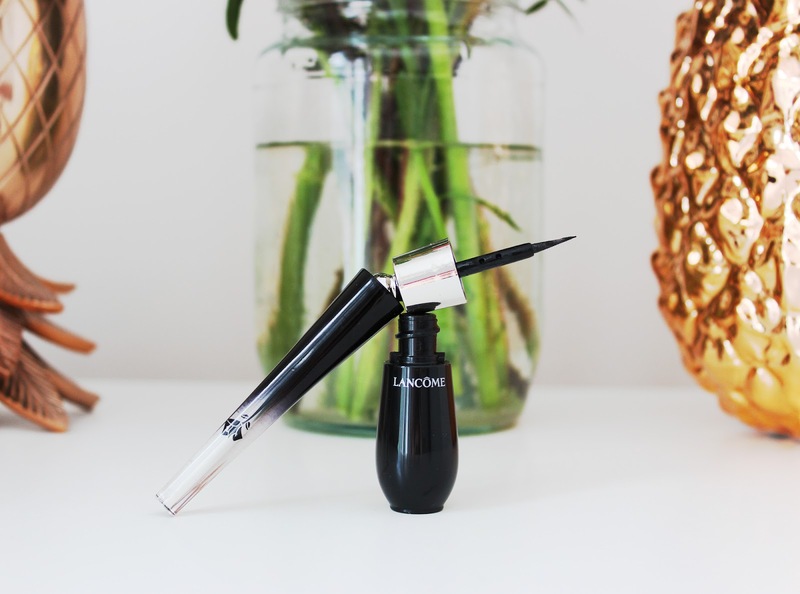 The Liner follows the same pattern - Lancome have created a flexible handle that can be adjusted to make it easy to use from all angles and across both eyes. There's also a very fine nib that allows you to get a precise line right at the base of your lashes. I'm going to warn you now, it WILL take a few goes to get used to both the handle and the nib. Even as someone that uses liquid liner every day, it took a bit of adjustment for me to get comfy with it. But once I did, I was really impressed at how easy it was to get a very neat line along the lashes and also at how simple it made it to get even flicks on both sides. That's definitely a big deal - wonky/uneven liner flicks are a pain in the bum and no-one wants to be wandering around with that all day long (or spending 30 minutes trying to get equal ones!). I think it's the adjustable handle that makes it that much easier to get your flicks on point. Although I'd recommend holding the handle quite low down for maximum control, the fact you can move it into different angles means you can get the same level of control on both eyes, without needing to switch over to use your less-dominant hand. Pigment-wise, it's not the blackest liner I've ever used, but it does dry quickly and lasts well throughout the day. It has a smudge-resistant formula that has performed really well, only failing slightly during on very sweaty journey on the Central Line, so I won't judge it based on that! On balance, my usual DHC liner still holds the top spot for me, but that's purely down to the fact that I prefer a thicker flick and I found it a little arduous trying to build that up with the Lancome one as the brush is very fine. That really is just personal taste though and I've been very happy with the formula so far. The Grandiose Liner can be found across Lancome stockists priced £23. Do you like the look of this new liner from Lancome?